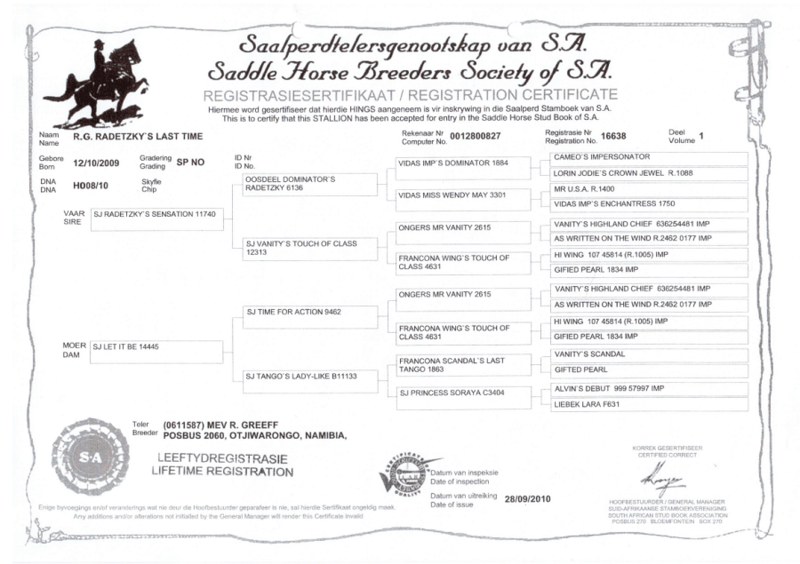 I attach a registration certificate of a stallion which is for sale @ N$20,000. The horse is in Namibia and is 15.3 hh. Very good temperament. Suitable for children and ladies. 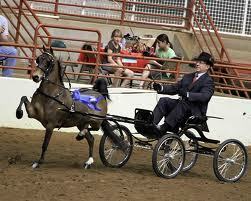 Ready to be hitched to a cart. 2 Berth Nutti horsebox, fully refurbished. New floor, rims and tyres. Papers in order. 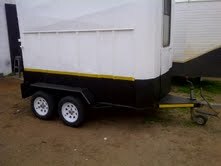 Please call George on 082 682 5093 if interested.